Enjoy having your windows cleaned inside and out of your home or office at the most affordable rates. Ecomaid staff can clean windows for office buildings or homes up to 4 stories high! We have invested in the latest European technology which uses high pressure distilled water for a guaranteed streak and spot free finish! Our methods reduce costs, are better for the environment and are safer for the workers. In addition, because our services are not so weather dependent, for example slippery rooftops and ladders, we can have your cleaning done in no time. 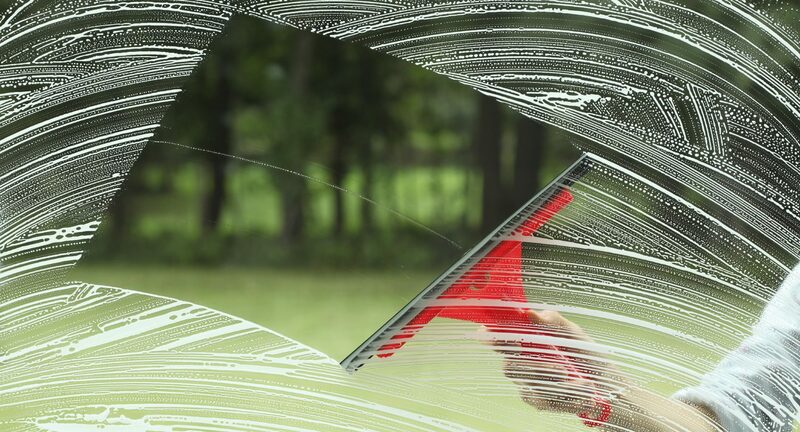 We guarantee that we’ll have your windows looking brand new! If you require your windows cleaned at an office or other type of commercial facility, we’re the place to call! We will clean all windows inside and out up to 4 stories high. Schools, banks, gyms; you name it, we’ll do it. Tell us any details in the form below, submit your inquiry and we will be in contact with you within 24 hours. Looking for a good window washing at home? No matter the size of the house, we will do it. We provide full service window cleaning both inside and out. Just fill out our quick quote form below with the required information, as well as any additional details that you would like us to know and we will contact you within 24 hours!